The integrity of what we have achieved – of what countless of our comrades fought for, dedicated their lives, many losing their lives, others leaving their families behind – is even more galling when one begins to unpack the current conjecture of what is commonly called “state capture”; more specifically, the robbery of the South African state by private interests, and, in particular, one family. By MCEBISI JONAS. 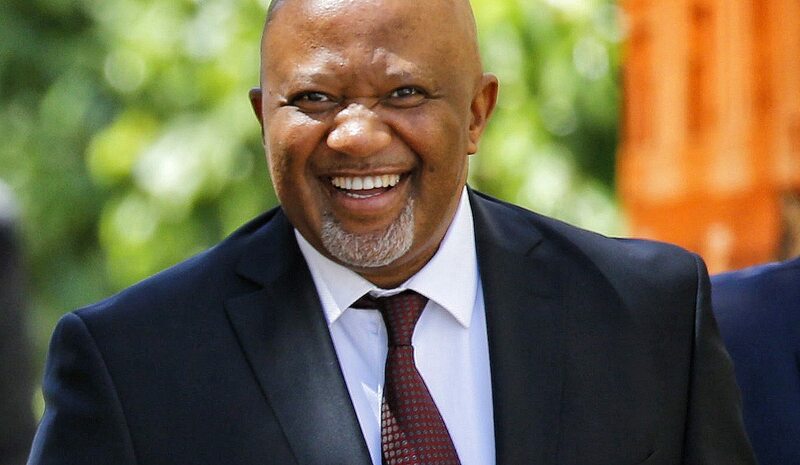 This is the full text of the speech delivered by Mcebisi Jonas at an SACP Chris Hani commemoration in Uitenhage on Sunday. Today my focus … is going to be: what is the political moment? There is an increasing sense that most of us are either blind to where we are as a country, or are refusing to acknowledge where we are. I always say that the ANC is where it is today because it was led by visionaries – people who saw ahead of time; people who could analyse where we were; people who could devise tactics to respond to the challenges we faced; people who were not denialists – not people who say that if people are marching, they say they are racists; that they are the minority. Remember that during apartheid when many of us took to the streets against the system, the government said to us that we were influenced by Russia, by the West, etcetera. They treated us as if we couldn’t think; couldn’t see what was happening. Today we hear the same rhetoric. To say that these marches are inspired by imperialists is to deny that it is the people of South Africa, it is the nation, that is in distress, it is the nation that is angry. It would be fatal for us to overlook the importance of the political moment. The weight of this history, of this promise, now rests heavily on our shoulders. Until recently, we might have read and dismissed yet another story about corruption; glanced over yet another headline about a burning community library; added yet another name to the long list of struggling state-owned companies. But the critical juncture that we have now reached is such that if we continue ignoring these signs, if we fail to understand the significance of what we are facing – we must accept that our hard-won democracy will become something that we talk about; lost in our lifetime. That’s the danger we face. When the ANC came to power in 1994, we said that we must ensure that progressively we destroy the apartheid-era bureaucracy and that we build a capable state to drive forward the agenda of liberating our people and deepening development in our country. Unsurprisingly, transforming these institutions into vehicles for service delivery and development became a major challenge, but against odds, we have built the constitutional foundations of our democracy and resilient economic institutions. Our institutions of law and order extend fully across our territory, we built a robust revenue system and broadly stable public service delivery capabilities upon which our public finances rest. ?We have a free and critical media, a strong judiciary, open trade and protected property rights. We also have strong and diversified institutions of worker representation and civil rights protection. Therefore the integrity of what we have achieved – of what countless of our comrades fought for, dedicated their lives, many losing their lives, others leaving their families behind – is even more galling when one begins to unpack the current conjecture of what is commonly called “state capture”; more specifically, the robbery of the South African state by private interests, and in particular one family. For several years now a critique of South Africa’s transition to democracy has been developing, which has focused on the profound continuities between the apartheid and the post-apartheid economies: glaring inequality that still largely coincides with (the) country’s racial profile – linked in part to the low-growth, high-inequality trap that I have written and spoken about before. What is new about this critique is that it increasingly repudiates South Africa’s constitutional settlement as an obstacle to what has commonly been termed as “radical economic transformation”. In contrast, for those progressive forces that negotiated the democratic breakthrough, and for the many people that moved into government after 1994, the Constitution was deemed a framework through which transformation could be achieved. This difference in how one relates to the transition and the institutions that came out of it can now be associated with two different ways of doing politics. The first operates within the confines of the Constitution and is invested in institution building to programmatically achieve progressive policy outcomes. It serves to fundamentally weaken and even collapse key state institutions. This is not corruption – indeed, we overlook a fundamental threat to our egalitarian project if we think that we are only dealing with corruption. We are facing a coup, via the very capture of our state. Our country is being stolen before our own eyes. This is not to deny that corruption is widespread at all levels and therefore undermines development, but we must differentiate the two. South Africa faces a much greater threat in the sense that “state capture” occurs when “the rule-making process itself is ‘captured’”. The pernicious nature of this threat goes to the fundamental difference between corruption and state capture, which is that for the latter, many of its activities may be legal, hiding the gradual, well-organised, but often invisible malignancy of its ultimate impact. It has been too easy for us to see each new example of state capture as a separate event, to deny the connection between them. We have failed to join the dots. A common factor among political revolutions, or change, that successfully pave the way for more inclusive institutions – breaking from extractive regimes – is that they succeed in empowering a fairly broad cross-section of society. When we talk about Radical Economic Transformation, we are not talking about Radical Economic Transformation for a family – we are talking about RET for millions of South Africans. That should be our agenda. This is why today we have this existence of fake news.